Who has the edge—a man with everything to gain, or a man with nothing to lose? Two small towns in Colorado: Hope and Despair. Between them, nothing but twelve miles of empty road. Jack Reacher can’t find a ride, so he walks. All he wants is a cup of coffee. What he gets are four redneck deputies who want to run him out of town. Mistake. They’re picking on the wrong guy. Jack Reacher is a big man, and he’s in shape. No job, no address, no baggage. Nothing, except bloody-minded curiosity. What is the secret the locals seem so keen to hide? A hard man is good to find. 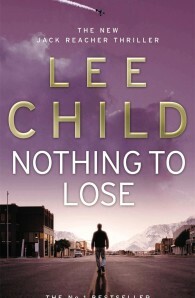 Ex-military cop Reacher is today’s most addictive hero.